Progress! These last few weeks have been very productive; finalized the boards and received the custom stainless steel name badges — each one is uniquely struck with a number. As we will be initially only producing 100 units, numbers 1-100 have been made. Soon you will be able to reserve your unit — email preorderair@myrocontrol.com and you will be notified when the site launches. 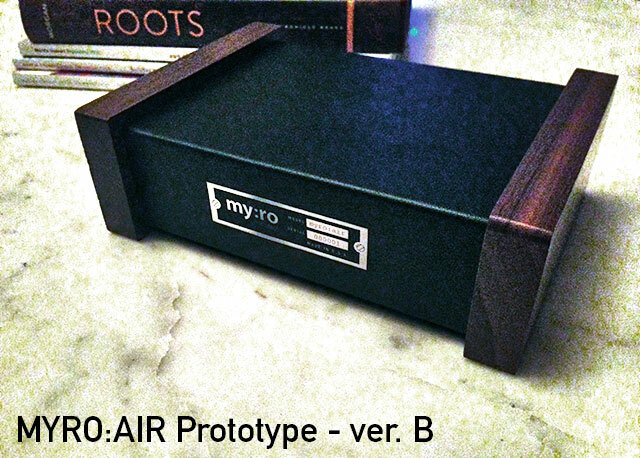 What is myro:air? 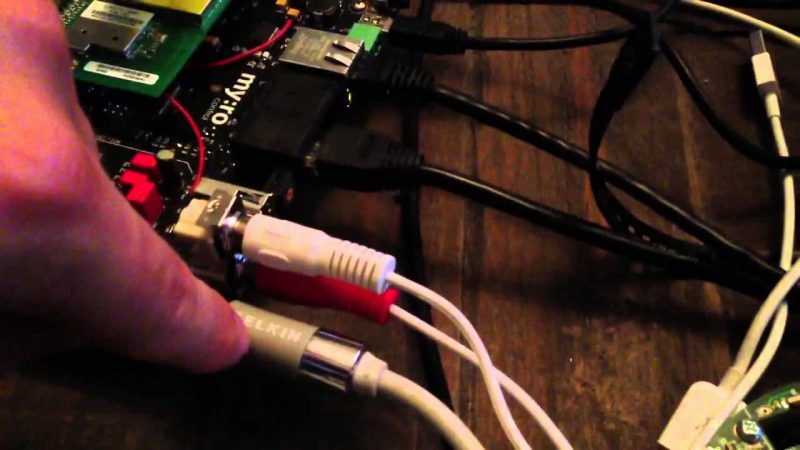 An audiophile grade AirPlay streamer featuring the highly regarded Wolfson WM8741 DAC as well as 2-way control of the AirPlay device via RS232 & Russound RNET interfaces, this is a custom integrators dream come true. Two long years in the making and we’re almost ready! What’s next? 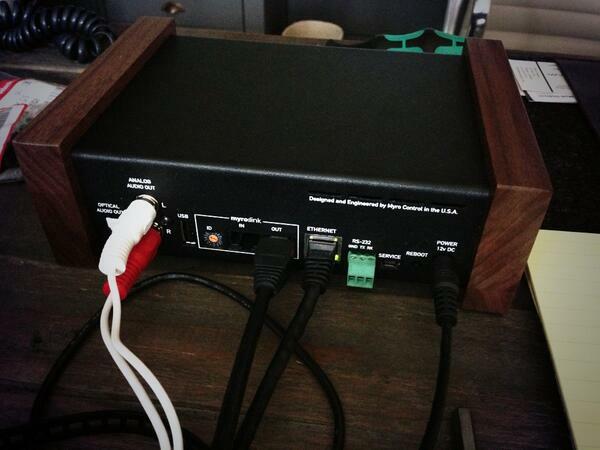 I will be getting sample production boards in a couple weeks. Rejoice! Myro:Air is progressing. The circuit design and custom MCU firmware code is almost final with only the case design really left to hash out. I’m going for the old vintage look and each unit will have a stainless steel plate which is made here in the U.S.A. — like the old Bell & Howell projectors. 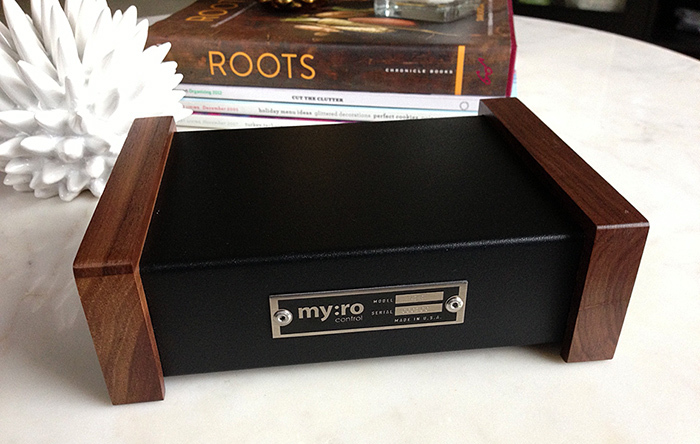 The case features both metal and solid walnut wood side pieces and is something that you will want to leave on display. The plan is to release and sell a small number initially. 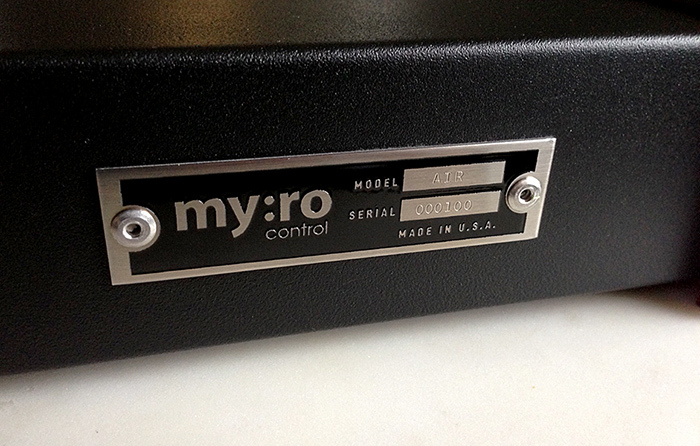 These will be handmade in the U.S.A. and sold exclusively direct to Myro Control customers. Myro:Air will offer audiophile playback via the Wolfson WM8741 DAC as well as 2-way metadata and transport control to whole house audio systems like Russound and Crestron. More details to follow — and for those that have requested to be on our pre-order mailing list (preorderAIR@myrocontrol.com) we haven’t forgotten about you!